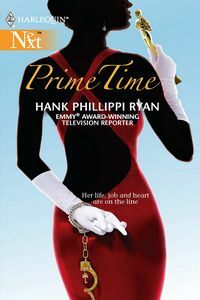 Prime Time by Hank Phillippi Ryan, a Mysterious Review. It all started with a couple of spam e-mail messages from someone she did not know. Charlie ignored them, promptly deleting them. A few days later, however, a local newspaper headlined an article about a whistle-blower revealing a pending lawsuit involving a very large sum of money being stolen by officers of a pharmaceutical company. The article goes on to say that an accountant was found dead in an automobile accident – or was it suicide? Charlie recognized the name of the company and the accountant. She remembered seeing the accountant's name, Bradley Forman, somewhere. Where was it? Was he the person who had sent her the spam e-mails? Enlisting the aid of her producer, Franklin, they hack her computer to locate the deleted messages. They still don't make any sense, but reporter that she is, Charlie sees a story. After all, television's November sweeps are not too far away and the clock is ticking. Special thanks to guest reviewer Betty of The Betz Review for contributing her review of Prime Time. Acknowledgment: Book Trends provided a copy of Prime Time for this review.